Just because a neighborhood is filled with construction cranes, that doesn’t necessarily mean that it’s the best area to invest in. In NeighborhoodX’s latest analysis, it shows that a landlord is more likely to achieve highest gross rental income returns on Southeast neighborhoods like Anacostia and Barry Farms. Northwest neighborhoods more often than not get the most attention and the most construction, but the rental yields in these neighborhoods aren’t always the greatest. The analysis primarily focused on one- and two-bedroom rentals and purchase figures. Additionally, the analysis excluded real estate taxes, commissions, and monthly fees and only took into account all-cash purchases in order to eliminate mortgage from the calculations. According to NeighborhoodX’s analysis, the Southeast neighborhood Shipley Terrace, otherwise known as Randle Heights, is the best investment. Against a $1 million investment, it has the highest gross rental income returns at $81,615. The neighborhood features an average annual rent per square foot of $18.69 and a purchase price per square foot of $229. With that, a $1 million investment would be able to buy 4,366 square feet and generate $81,615 in gross rent per year. When comparing the four neighborhoods directly behind Shipley Terrace, the highest gross rental income for each one is almost identical. 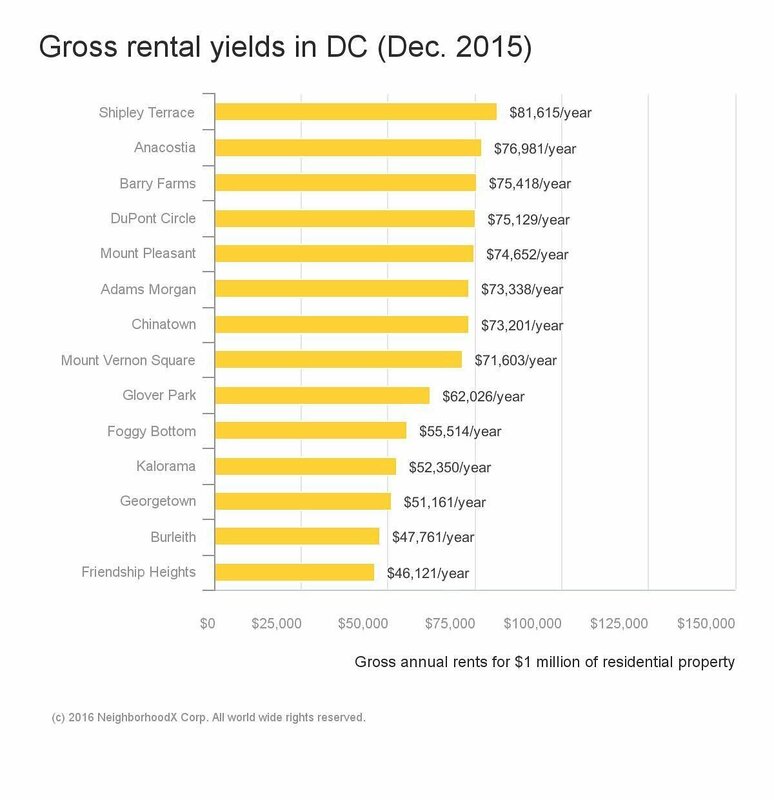 Between $76,981 to $74,652 in gross rental income returns, the second to fourth best neighborhoods to rent in in order from highest returns to lowest include: Anacostia, Barry Farms, Dupont Circle, and Mount Pleasant. 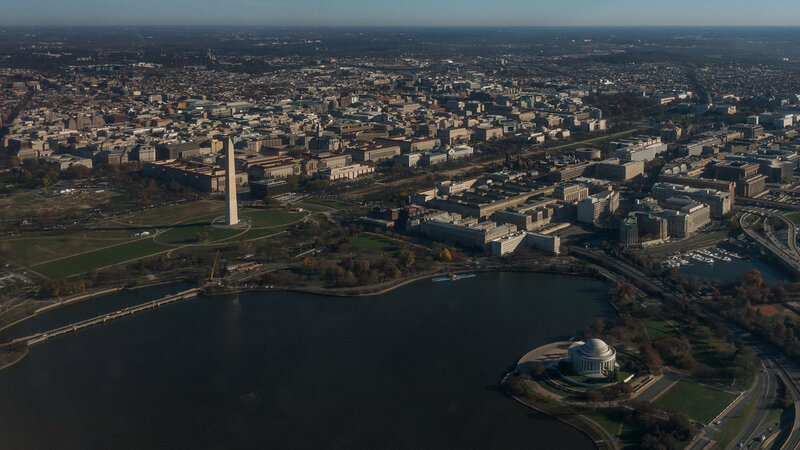 As a whole, the average annual rent per square foot for Washington, D.C. neighborhoods ranged from $16.32 in Anacostia to $46.58 in Dupont Circle. For a closer look at the data, be sure to check out NeighborhoodX’s interactive graph here.